I remember when I began my search for self and the meaning of life in college. I was intent on getting there fast. I had a lot of ideas and a lot of energy. I thought I could figure it all out pretty quickly and then just move on to being a great success. Very puer, or rather the feminine puella, very dynamic, enchanting, and vulnerable; nothing could stop me. I had a lot of success and innovative ideas that kept propelling me forward. Then life happened, as it is known to do. I got a little lost, and then I got a little found, then lost, then found, then lost… you get the idea. I am pretty sure this describes most people walking around who have put energy into understanding the meaning of life and themselves. The energy of existential angst and enlightenment can be so invigorating and frustrating. Many of the therapeutic theories incorporate this winding, spiraling path inward and then outward through knowledge and confusion and integration of ones experiences. The thing that is so useful about mindfulness is that it embraces the whole of things and accepts the dynamic quality of perspective such that being found and lost is, by its nature, transitory. Very useful because it helps us from getting stuck in time and space, not caught in the past or the future, by placing us in the center of our life the present where actual change or action can take place. Getting stuck happens when you define you have reached the pinnacle and now there is nowhere else to go; that kind of definition sets up a situation where one gets derailed off course. The idea that something is it, the answer, and now it must be repeated or held in place sets up a negative process where the energy degrades. Holding something in place denies the ultimate truth of growth and change. It creates a pull from the inside that pulls apart the thing held in place. The cycle of life is change – it moves, shifts, grows, continues with the cycle or spiral in and then out and then in again, up and then down and then up again, onward and through. 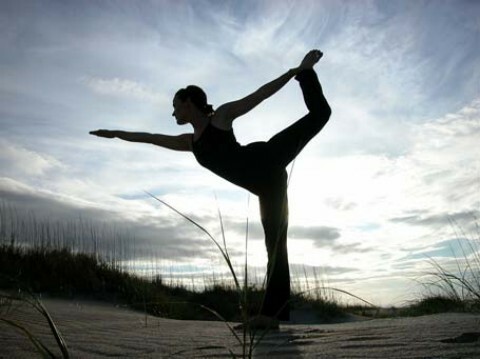 Each answer is an ending but it is also a beginning and so is in the center of ongoing, dynamic, movement. If you try to hold it still then the movement works against you and breaks it apart. You can see this in relationship, your understanding of information, and existence. The more you know, the more you see, the more there is to know. It is ever-expansive incorporating and shifting. The same is true for relationship – trying to hold someone to a way of being that defines them at one age disallows growth and change – yes their basic nature remains the same but what is attended to or experienced, how it is expressed, changes over time as humans are dynamic beings. This brings me back to The Way, The Tao. A larger more wholistic understanding of All that is, is, and it is inside and around, and it is simple not complex. Complexity is a trick that pulls you out of mindfulness. Being mindful is a simple process. Sit, breath open, allow, observe, accept, incorporate, shift. Thus, the journey of being lost and found I suppose. 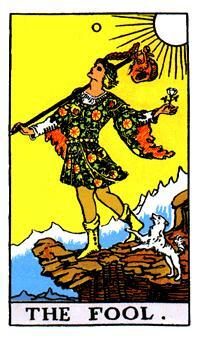 Quite a lovely journey if you are willing to lightly respond to each experience with a joyous interest – like the fool card in the Tarot. Interest but not attachment. Mindful, open, observation without good/bad judgement or interpretation. Interest that sounds like this – hmm, I wonder where this will take me – perhaps down the rabbit hole to find your way out by going within. If you find yourself lost, fear not, a turn is soon coming that will set you again toward being found. If you are found, take heed that holding too strongly to that knowing, may actually impede further movement until you are again lost. Attachment is the thing to avoid or release. Love, desire, interest, curiosity and mindfulness, these are all lovely and full of what brings you through the energy of The Way. Lost or found you are on your path. Follow your heart, and use your mindfulness, and joy will bring you home. Think of two defining moments in your life. What is the basic emotion underlying each? Things that stop us in our tracks and teach in this definitive way are either stern and painful or joyous. Both are teachers but what they each teach shifts a person’s focus down different paths, one more limiting and one more expansive. I encourage you to practice learning through joy. When you feel joy your heart opens. It is naturally expansive. Joy unlocks your heart and guides you through your feelings to create more joy. Singing can do this, especially if you are singing songs that bring you into a state of joy. There is a softening, a slight sweetening of the experience. It allows you to move into a neutral place or even to increase a fondness toward another or an event or a situation. Mindful meditation has the same result. Our emotions and senses are our guidance system. They are navigators of our life experience. We want to move away from negative feelings and move toward joyous ones. This is an excellent guidance mechanism, however sometimes in youth or under defining circumstances this can result in a misinterpretation that creates a habit reaction pattern. If you have a defining moment that sets into place a should or should not it creates a trigger that says if this, then that – so that a habit reaction is developed. The habit reaction cannot be shifted without a re-set of the should or should not equation, if this, then that. A trick to re-set it is to get into neutral or to get into joy. This is a trick because it is a way of getting under the habit reaction pattern to tip it on its head. Think about driving your car. You put it into Reverse to back up and into Drive to go forward. In the middle is a gear called Neutral. In neutral you cannot go forward or backward. Getting into neutral allows for the space to decide which way you need/want to go. It gives you space to evaluate the situation and then choose how to respond rather than just following the set pattern of one gear or another. Mindfulness, just being with the situation, not allowing the should or should not equation to take hold, is very useful in releasing habit reaction patterns. Mindfulness can allow for an acceptance and an observation of the situation and your emotions without a reaction to them – just taking note. This allows for the space to decide, to allow, the next step to take place. Mindfulness has a neutral intent to it, but it seems to open ones heart in a way that is similar to joy because it expands ones inner awareness and sense of connection. Practicing mindful meditation increases your capacity for joy and shifts the energy of a situation as you practice paradigm shifting. This disallows habit reaction pattern formation and dissolves habit reactions already in place. It is a lovely practice to allow experiences to be joyous. Learning through joy has this expansive quality such that growth is perceived as easy and enlightening. This is most difficult to practice when the situation is loss, sadness, disappointing, fearful, or angry. Practicing mindful meditation allows for space so that all aspects of the situation can be observed and evaluated and set in time in such a way that a positive joyous energy can be ascertained. It incorporates a cycle of life and time that reinforces a knowing that just as things desired are lost new opportunities are found. This is acceptance of the way. It centers you in your life. Things past, the present, and things future. As you move through your life each experience is centered in your life such that it is not an ending but in a cycle and continuing along a path. Defining moments feel like endings, and may be completions but they are also beginnings into the next cycle, or centers of whole experiences. When you choose to learn through mindful meditation and joy you can center yourself into the right perspective so that you can see the whole of the defining experience and its true place in your inner landscape. Choosing to learn through joy allows for your heart to lead and guide you – not the heart meaning human love of another, but rather the compassionate, lovingkindness heart of your spirit. Mindfulness meditation is a heart centered action. It incorporates mind and spirit together. Practice learning through joy. Apply mindful meditation to your defining experiences. In mindfulness and paradigm shifting, perception is everything. How can you help your child develop her skills at paradigm shifting while simultaneously teaching her an inner sense of right and wrong? It’s tricky. I think the answer is developing the perceptual consciousness of the attitude of gratitude. Through this way (emphasis on the tao) she can always be redirecting her attention to her center. Focusing on that inner security and self-knowing to help her navigate through interactions, experiences, and decisions. An attitude of gratitude brings one into the center of one’s world while focusing one’s perception on how the thing which needs attention is somehow positively sustaining. It is the antidote to narcissism. Narcissism leaves a person forever searching to connect to himself while seeing only his own circumstances. It is less self-reflective and more self-focused, the kind of self-focus that is not centering or relief producing but rather painful and tortured. It isn’t a true love of oneself – as the myth describes but rather a lack of self-love. Narcissism disallows empathy. Empathy is the cornerstone to truly loving and understanding oneself or another so that one is free to perceive all aspects of a situation. The shifting between the ground and the figure in any given paradigm requires the capacity to empathize – to see from a different perspective. 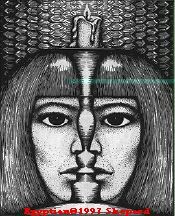 Looking at this drawing do you see two faces each in profile, or a single face, with a candlestick in between or in front? This one is very interesting to shift back and forth from one to the other. Defining the picture requires certain assumptions, and moving back and forth is a strong paradigm shifting experience. Healthy relationships require this capacity to perceive from various perspectives and levels. This includes a healthy relationship with oneself and one’s needs, hopes, aspirations, limitations, and capacities. Our heritage, historical experiences, and belief systems strongly affect how and what we see or perceive. The inter-relationship between one’s mind, body and spirit sensations help us navigate the tricky environment of our lives. If we are too rigid, too self focused we lose our ability to see broadly. If we are too flighty having difficulty focusing then we lose the ability to see deeply. Perceiving is receiving and interpreting information from one’s sensory system which includes cognitions, feelings, intuitions, and physical reactions – like the hair raising on the back of your neck. These subtle sensations evoke perceptions within us. When we have strongly connected sensations and reactions then we may be too rigid in how we interpret the meaning or perception of information. So we have to be open and flexible. There is a wonderful book available for developing one’s ability to perceive for artists and drawing, called Drawing on the Right Side of the Brain, by Betty Edwards. It offers numerous techniques for changing your perception so that you are free of those rigid constructs and therefore increases a person’s capacity to see. It uses different techniques of shifting the way in which you are presented the figure so that you focus on the empty spaces, the ground rather than the figure. The theory is that if you see a figure and you are attached to what it looks like you can’t see it as clearly, and that skews how you draw it. So in example a figure would be provided upside-down so that it didn’t immediately look like what it was, so that your brain focuses on the empty spaces to complete the whole, without prejudice as to How it Should look. Funny thing about this is it applies to how we see relationships, situations, and things that carry special meaning so that we have a skewed perspective or an attachment to what something should look like, that interferes with our ability to see the whole, or keeps us rigidly focused on one perception. Allowing yourself the gift of viewing things from various perspectives frees you up to see more clearly the whole. So I suggest if you feel like you are stuck in some situation and can’t get out of your perspective, turn your cognitions on their head – try arguing the other person’s point of view for a minute – that will get you into the other person’s shoes enough to maybe – just maybe – shift your own perspective or find some area where you both agree. Or you can do what the Yogis do and stand on your head, for a new perspective, both internally and externally, of the world around you. Having observed the process of healing over many years I have noticed that certain paradigms of focus are most beneficial in moving through the process. Recently, I have had a number of transformative healing experiences myself. This has deepened my understanding of this process of healing. There is a magical quality to the word healing, it imparts the idea that only peace and grace are present. It has this overwhelming positive energy, like a fairy godmother who easily and instantaneously transforms your circumstances. Healing is good and does result in positive experiences. It seems the process of healing feels less graceful or peaceful. The process of healing incorporates loss, pain, letting go, and sadness along the way to that peace and grace. Sometimes this is due to the loss of something tangible and sometimes it is more esoteric. The cathartic experience of healing transformation can bring a sense of relief and positive energy – but once you change, others need to change in relation to you and that is another form of loss, or another snag, that causes discomfort and strife rather than peace. How you express the change may affect the gracefulness with which the other accepts the change but even the best, kindest, and most gentle clarification may result in conflict and anger on the part of others. This is especially true when you are releasing an internal pattern of interaction that doesn’t serve you , because that pattern may feel to the other as necessary for their wellbeing, or a longstanding hurt from some action by someone whom you love, usually an unintended hurt. In each of these instances the other may not be accepting or supportive of your healing. The process of healing has a ripping and conflictual aspect to it wherein long-held beliefs or perceptions are examined and then elements of these need to be let go and transformed. The shifting paradigms don’t just relate to the person who is healing but also to all those connected to him. This means there is a rippling effect in the transformational process. It can affect the person in ways he is not prepared to address or handle. The healing can have an emotional/psychological, physical, and spiritual component, or some integrated effect on all three aspects of one’s being. It may shift the person such that basic foundational beliefs about the world and/or himself are irrevocably changed. And then, through this it can affect the relationships of the person in the healing process. As you go down the line of those affected, some are not prepared for the change that comes with the healing and it feels like a loss for them; their reaction may feel less than supportive and put pressure on the person who is healing to not make the transformation. In some instances a healing may result in the loss of a relationship because the other person is not willing to accept the change and transform himself, or change how he was in relationship with the you. This is the price of healing; it feels like you have to pay a price to have yourself. But another perspective is that is is a gift, that ending the cost to your wellbeing results in a gift to yourself and the other. We want to grow and transform into our best selves but we also want things to remain the same. These two desires are not fully compatible. I think it is best to respond to these issues from a mindful, compassionate perspective of lovingkindness. Death, divorce, the dissolution of a business relationship all can be viewed as a healing crisis or a healing transformation. And for different parties, especially in the latter two, it may also be the result of a healing transformation or crisis. Whether it is identified as transformational or crisis has to do with the paradigm through which it is viewed – as either a gift or a trauma. The former allows for movement more quickly and fully into a graceful, peaceful embrace of change. The latter is a snag, a negative energy that creates conflict, anger, and a stuckness or stickiness – the opposite of grace and peace. The important qualities of focus through this are compassion, love, lovingkindness, and mindfulness, toward oneself and toward the other who has caused the hurt, trauma, change, or release. Compassion toward oneself and the other is required as you work through the re-creation or re-configuration of the relationship, incorporating the new information, transformation, or change in relationship. Remember that the one who at first realizes the need for change and asks for it, who first experiences the healing transformation, is further along in the transformation and feels more relief than snag. And so, there is a delay in how the healing and transformation is received and incorporated into the new relationship experience, for each person down the line of information reception. This is paramount for the smooth transition and grace one desires when moving through the process of healing. Each healing brings us closer to what we are here to do and our best selves so that how we are in the world is strong, empowered and loving. It is counter-intuitive to perceive loss as healing, and yet it may be a gift. One must be open to a broader view of the loss and how it is part of the whole or gestalt of who you are. It is not a linear equation but rather a spiral of mind, body, spirit, awareness and integration. Be open to how the process of healing is bumpy and emotional, and focus on maintaining a connection to your inner compass as well as compassion toward yourself and others through a mindful, lovingkindness paradigm. This will provide you with an experience of grace and peace through your healing transformation process. Peace is every step, Thich Naht Hanh. May every one of your steps be peaceful. My dear friend, Lisa Aldon, has developed a theory of leadership called transcendent leadership. She thinks of it as the evolution of consciousness. When we talk with each other I always call it transcendental leadership which makes her laugh. When you think of transcendence, transcendent and transcendental they are similar in nature, in fact it’s a little difficult to tell them apart. They are elaborate terms that describe a way of being that incorporates mindfulness, paradigm shifting, compassion and lovingkindness. To transcend is to exceed, excel, surpass or go beyond. Transcendence is mastery, or a state of existence beyond the limits of material experience. Transcendent can be defined as surpassing or exceeding usual limits especially in excellence, or being beyond the ordinary range of human experience. Immanuel Kant’s transcendental idealism is a system of philosophy emphasizing the spiritual and intuitive above the empirical and material. Transcendental can also be defined as otherworldly beyond human experience. All of these terms incorporate a concept of excelling in nature as well as a component of spirituality. I think of this as an offshoot of mindfulness or mindful behavior, because mindfulness-in-action incorporates information outside the norm and integrates compassion, excellence in evaluation, and integration of the sensory information of mind, (body), and spirit. Transcendent shifting is quantum in nature. It’s like paradigm shifting on steroids. It incorporates a gestalt of an experience and then moves the person to a new perspective. Transcendence allows for, or is in response to, a release, a letting go or a shifting in what matters as an internal paradigm, that shifts the entire axis upon which a being sits, or the vision of the future. After which, a person feels completely and wholly renewed and rejuvenated, almost re-born into a new world. Transcendence generally feels more like surrender than dominance. The transcendental component – the spiritual and the intuitive – creates the space for transcendence. Depending on the focus of the work, each day offers opportunities to create transcendent shifting and transcendence. These elaborate words are actually descriptive of mundane everyday interactions when one is focused on mindfulness and paradigm shifting in interaction. In human interactions this may look like an opportunity to let the fight go by while going under the conflict to the threads of connection, (an action of surrendering that doesn’t mean giving in). This is the action seeking understanding. This is a spiritual paradigm rather than a singly focused ego action of being right. Think of your relationships with those you love. The paradigm to connect and know the other is greater than the need to prove you are right (or at least from a spiritual, mindful, broad-based perspective it is more harmonizing). If you want to know your child and be a helpful person to her than understanding her perspective of a drama is more useful than telling her the right thing to do without hearing her conflict; or telling her it doesn’t matter. This is true even if her conflict is with you. She must feel the connection to you deeply and fully in order to trust you. Furthermore, in order for her to trust you, you must be trustworthy. Trustworthiness is a function of being congruent and seeing/understanding/knowing her. You cannot see her if you do not understand her perspective. Understanding is a transcendent action. It requires the suspension of pushing toward one’s own beliefs and thinkings while attempting to make a connection to the other’s. It is a gathering of information and increase in clarity that may result in an internal shifting and integration of the information so that the place(s) where the two paradigms are similar can be revealed or a new position can be attained. This is mindfulness-in-action. Perhaps, it is an evolution in consciousness. What an interesting concept. Think of these terms as you go through your day. See if you can be them in your loving interactions and relationships. You may find the world anew, and create your own transcendent leadership program in your own home and workplace.